Do Reverse Mortgages Offer Realistic Solutions to the Aging in Place Crisis? Many retirees have a dream of aging in place – the ability to live in one’s own home and community safely, independently, and comfortably, regardless of age, income or ability level. While aging in place is the preferred strategy by most retirees, certain challenges will prevent these desires from becoming reality. According to a new report from Harvard, the Reverse Mortgage program is a financially realistic option to help retirees achieve their goal of comfortably aging in place. See some of our highlights of the Harvard report below, or see the entire report here. 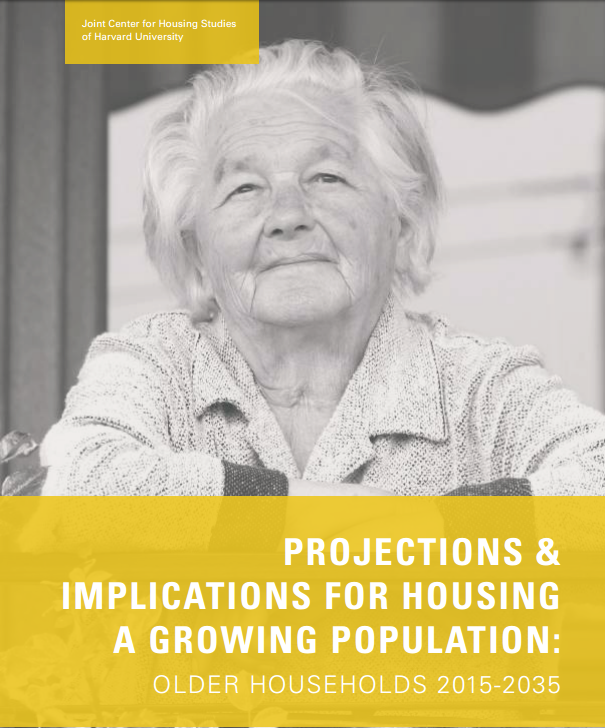 At the same time, the number of seniors relocating in search of community-based models is growing, according to a new report published by the American Institutes for Research. These models are a form of collaborative housing designed to emphasize social contact among community members while preserving and respecting individual privacy. In addition to having private homes, there are also shared spaces for meals, recreation and socializing, which enforces the idea of a community. You can read the American Institutes for Research report on community-based solutions here. Regardless of which strategy retirees want to go with, the Reverse Mortgage has proved to be a viable option for allowing people to take control of their decision on where they want to grow old. The next two decades will bring substantial growth in the number of older adults (defined here as those aged 65 or over). With the leading edge of the large baby boom generation (born 1946-1964) now passing age 70, the US Census projects the 65-and-over population will increase by more than 30 million people by 2035 to reach 79 million, with more than half that growth occurring in the next decade. The 80-and-over population alone will double between 2015 and 2035 from 12 million to 24 million, with 70 percent of that growth occurring from 2025-2035, the decade during which the leading edge of the baby boomers passes age 80. Overall, this growth will shift the age distribution of the US population so that by 2035, one in five people in the US will be aged 65 and over, up from one in seven today.